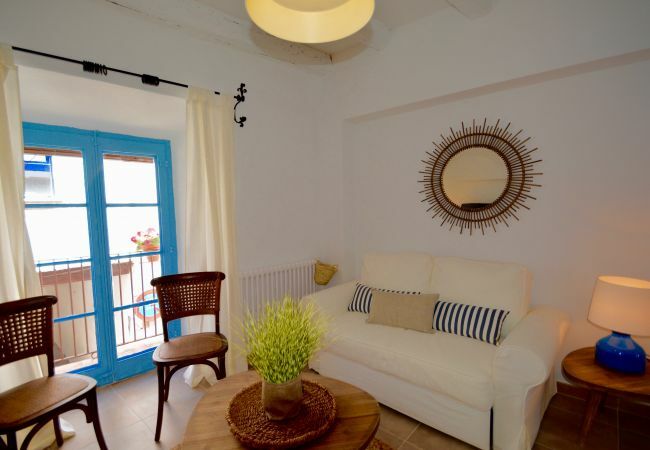 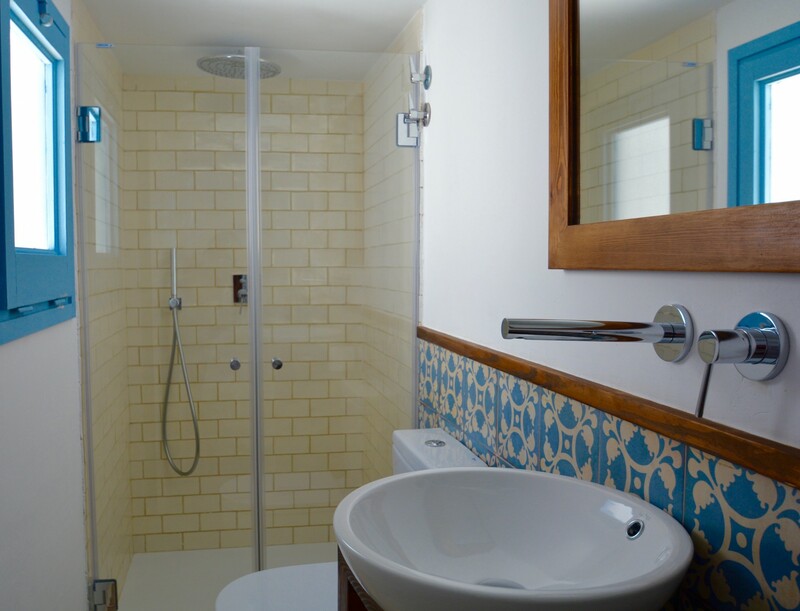 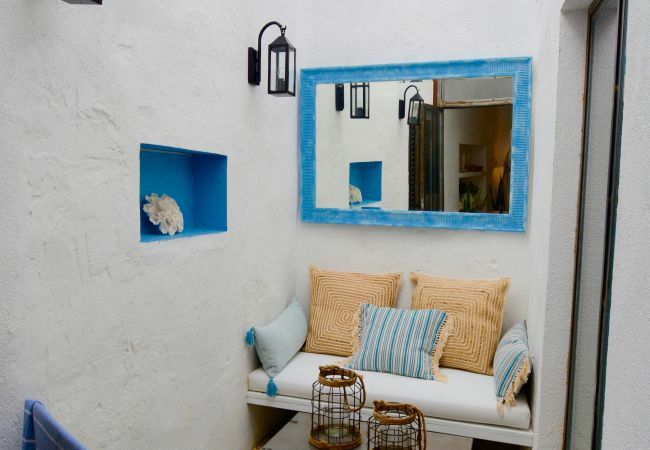 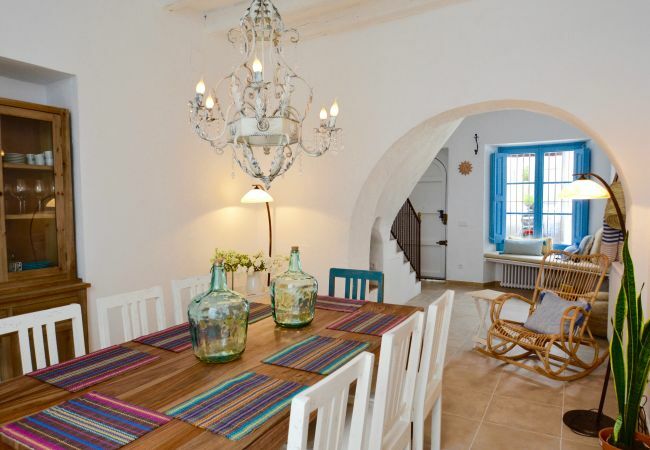 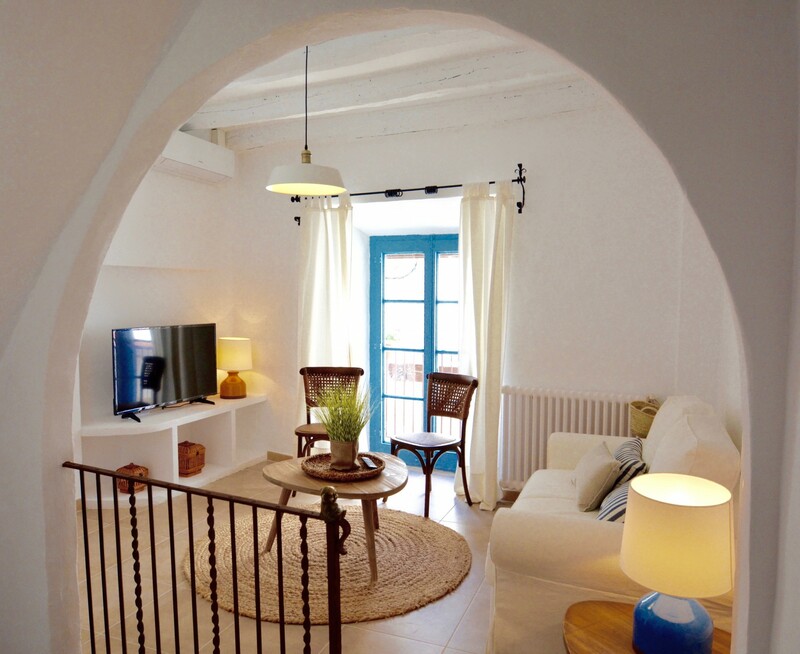 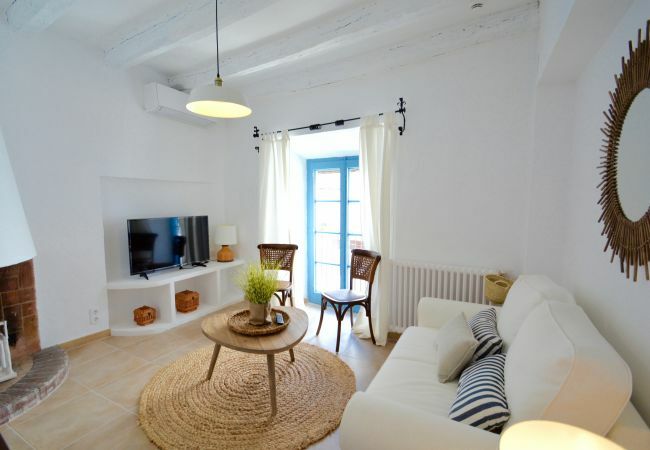 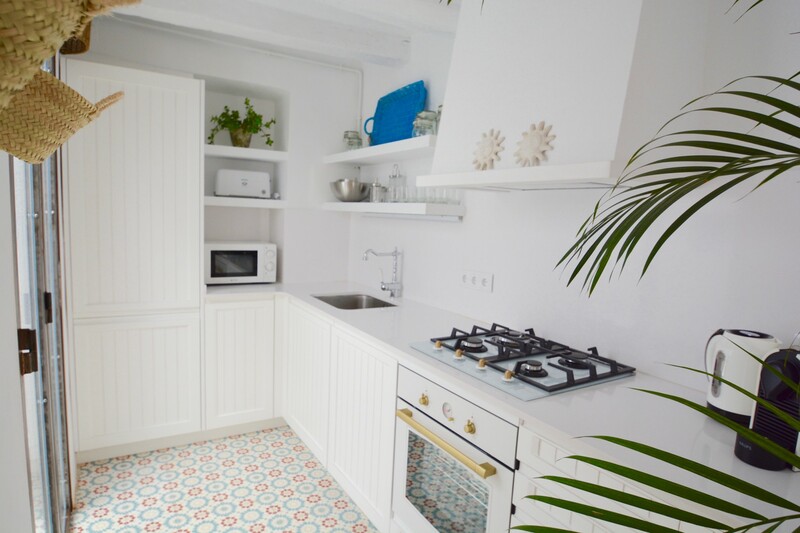 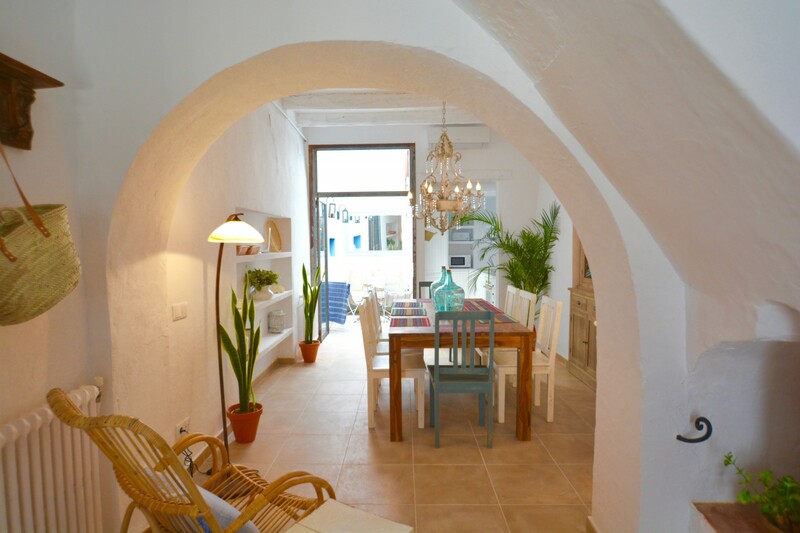 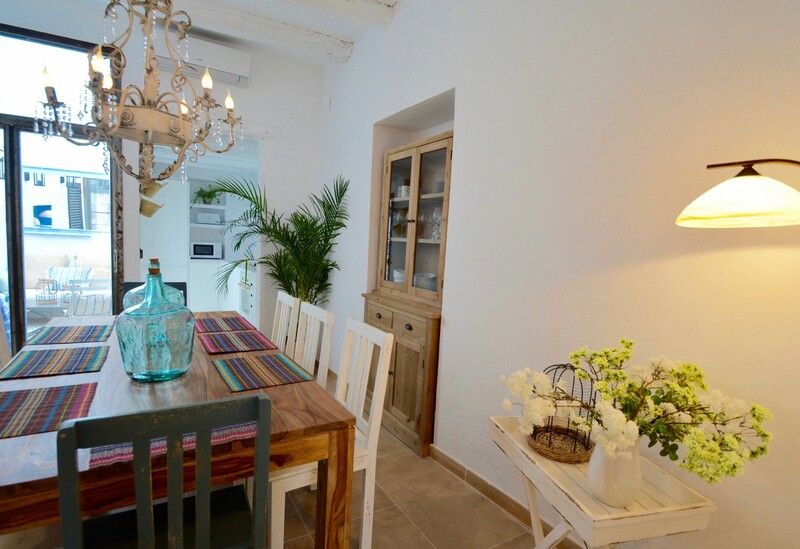 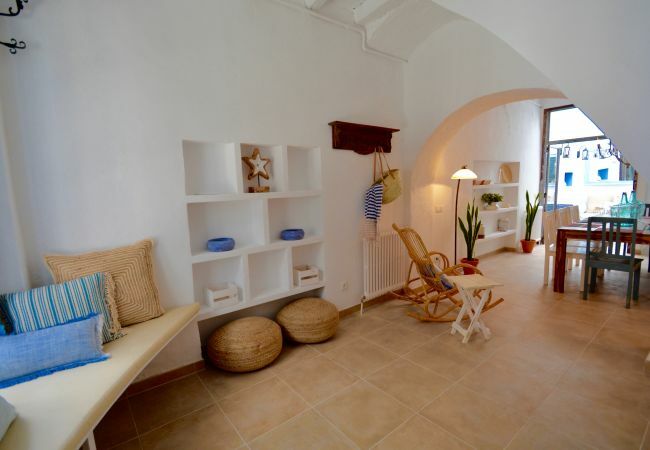 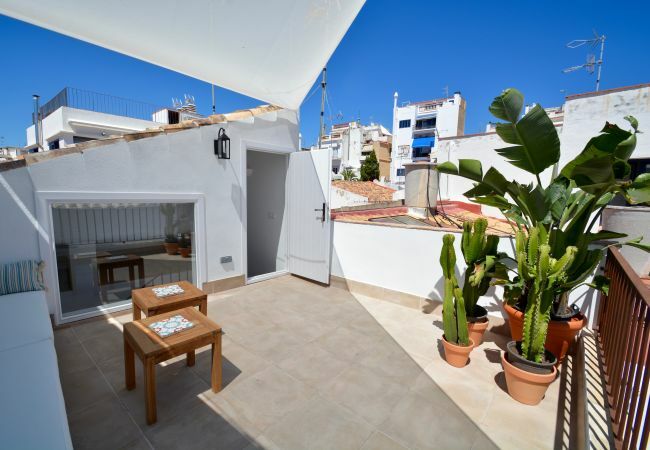 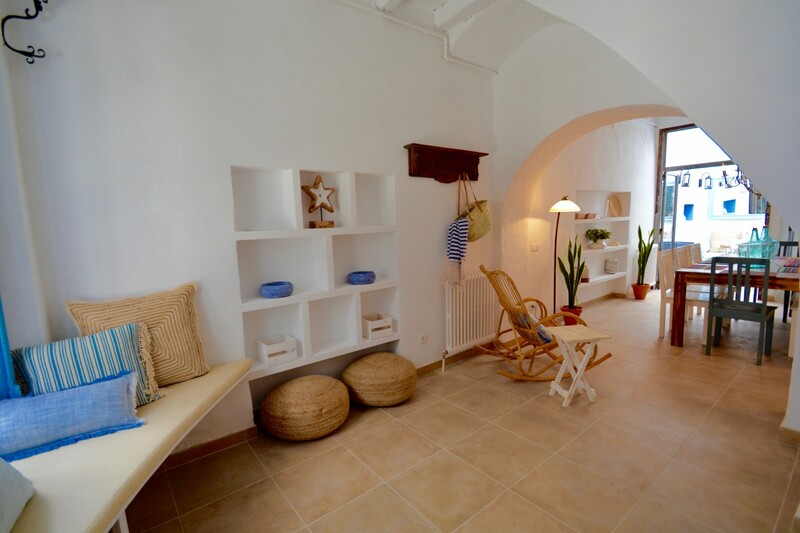 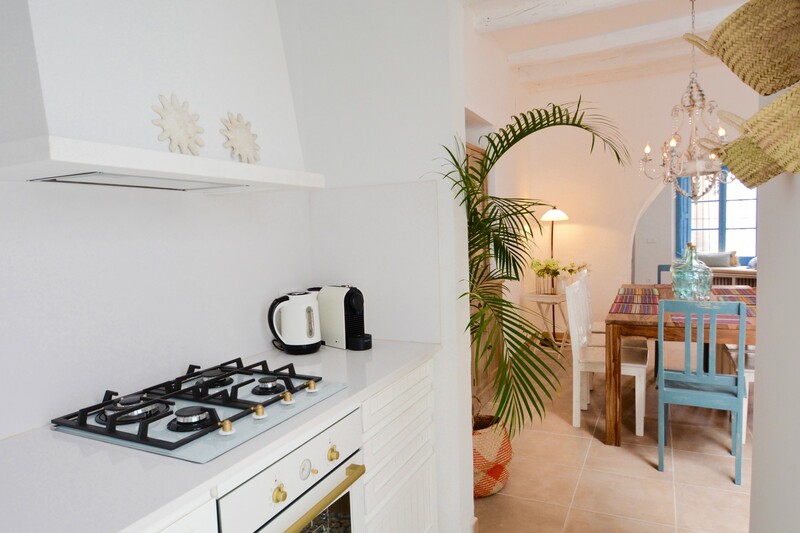 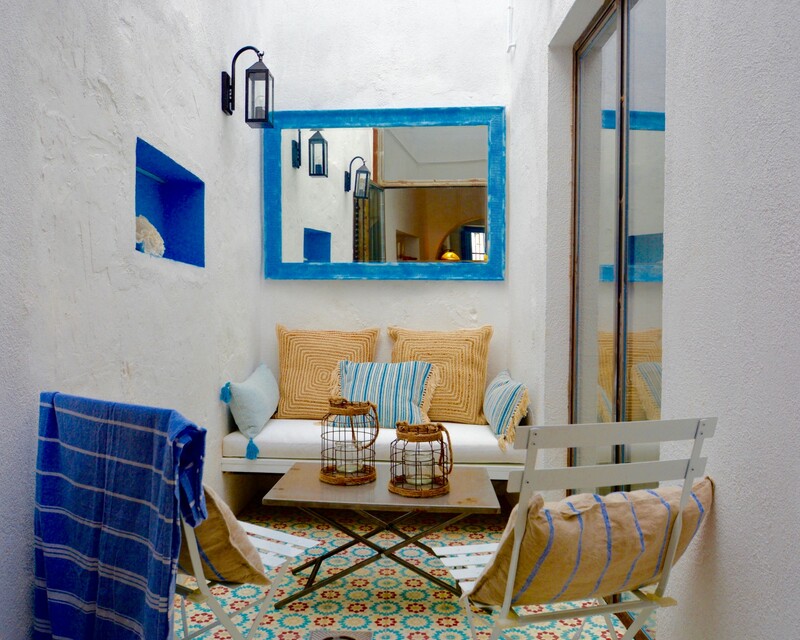 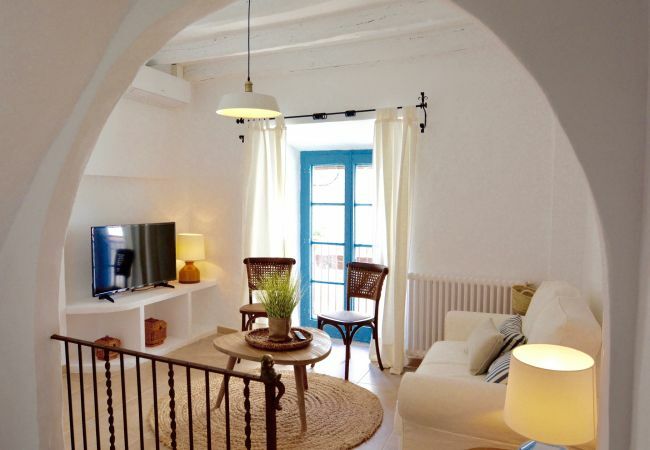 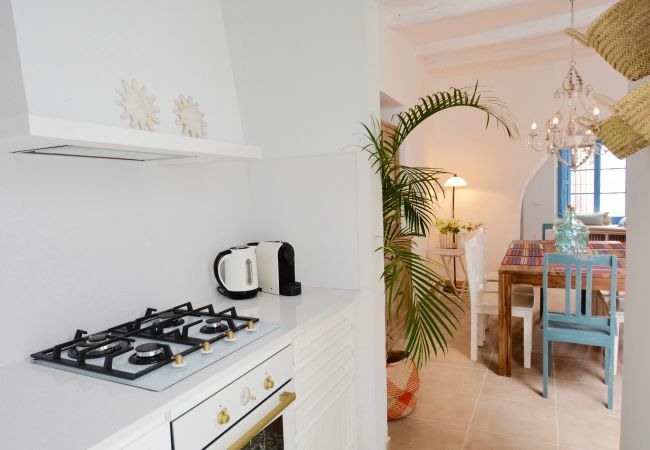 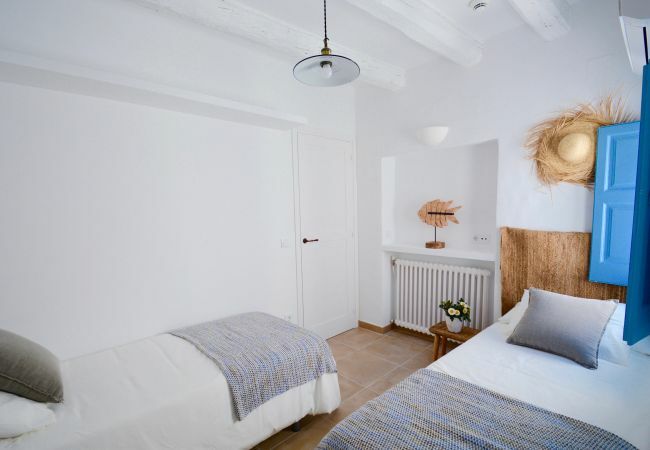 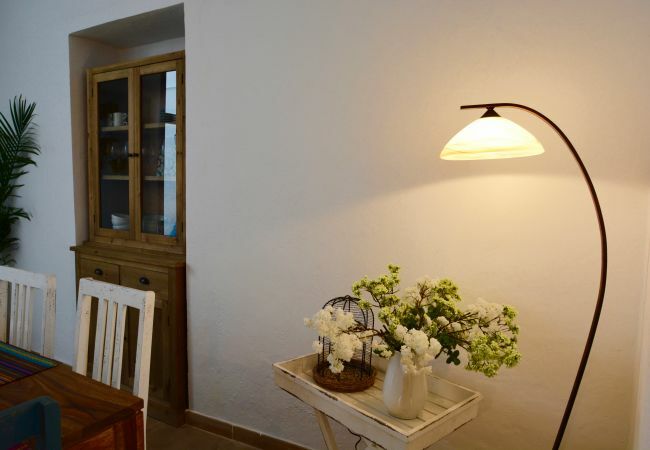 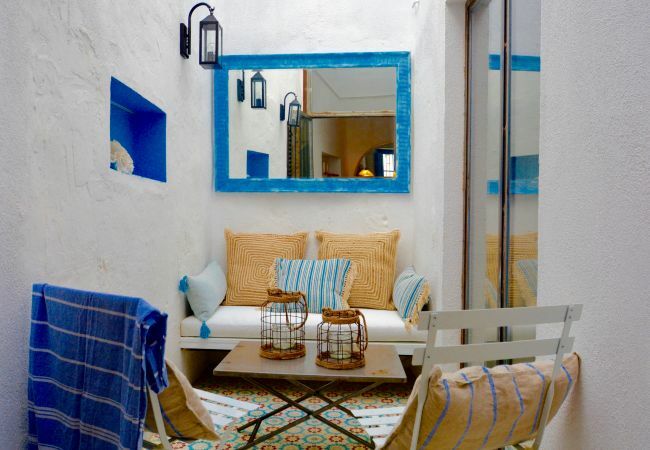 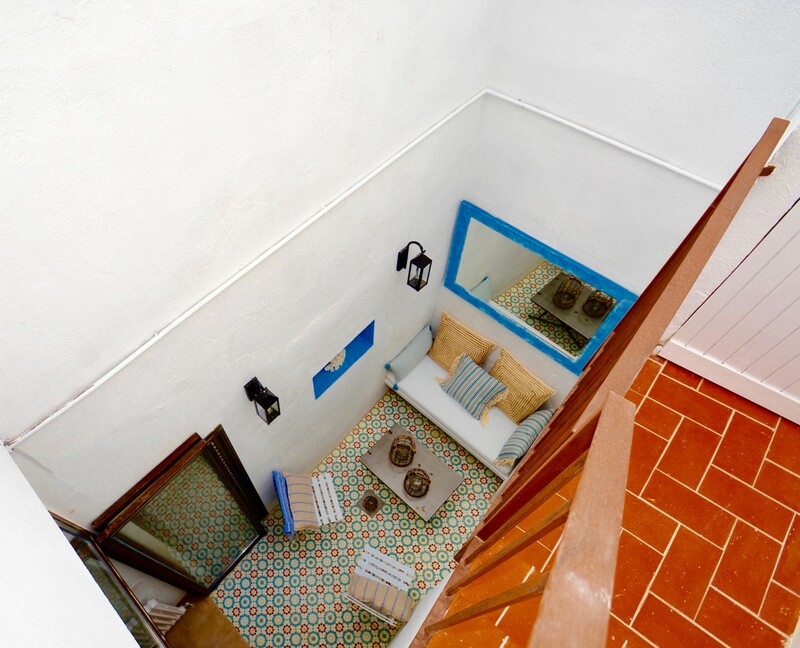 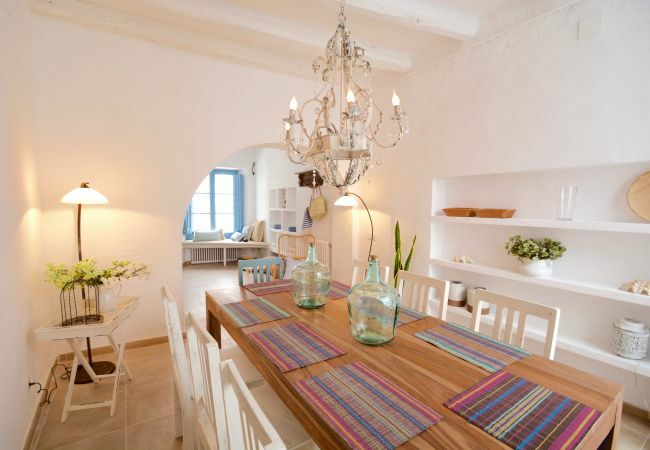 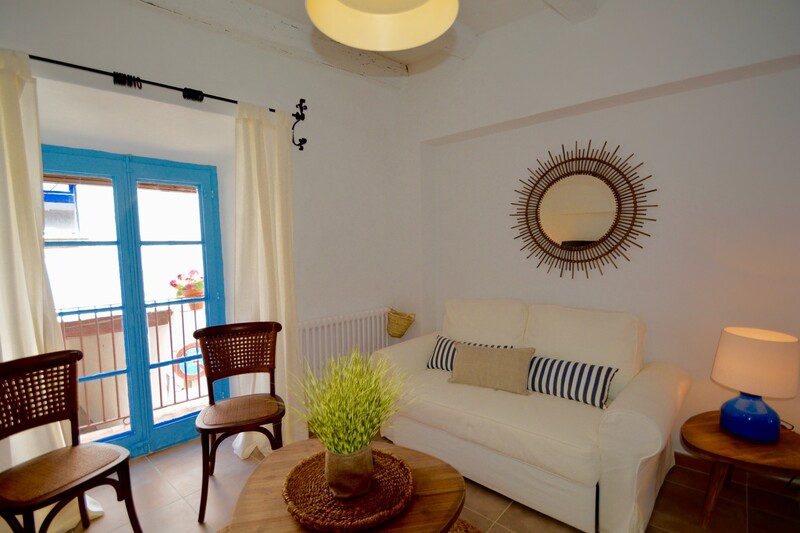 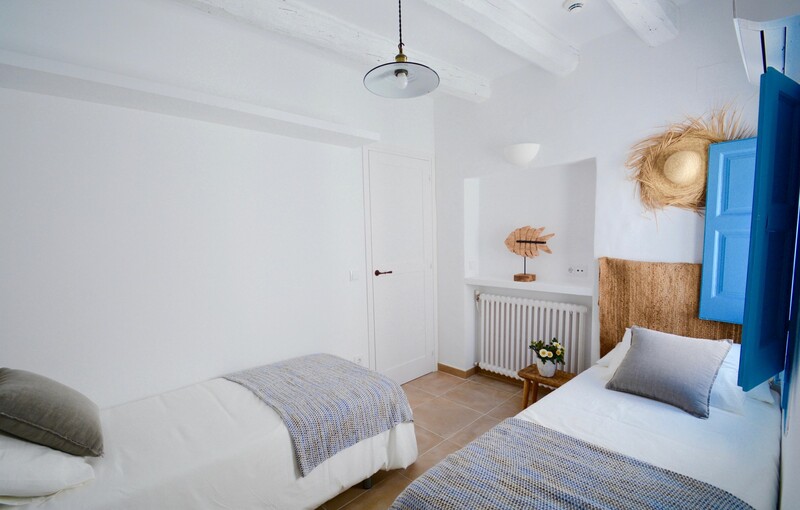 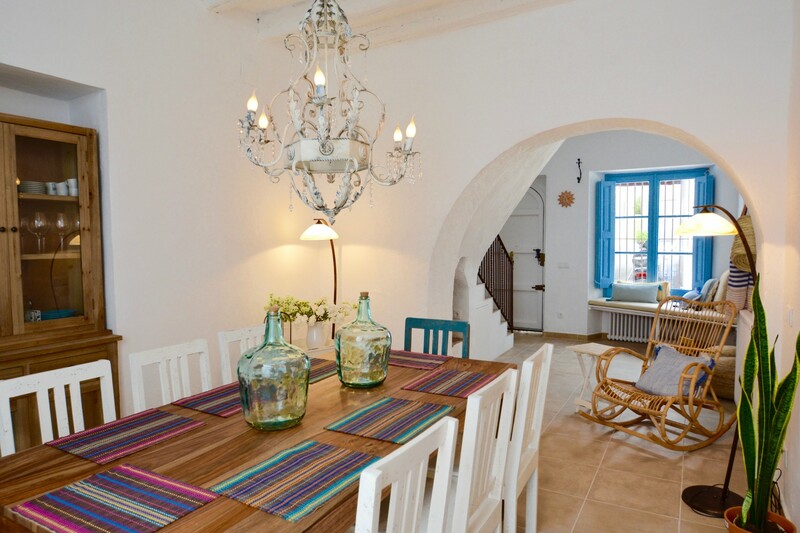 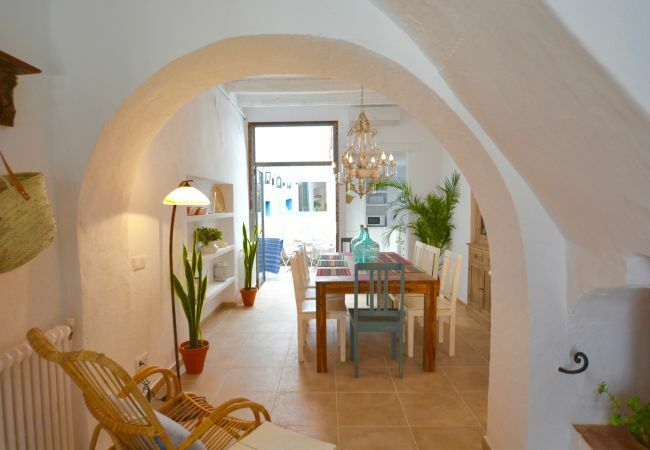 Casa Azul is a beautiful and elegantly restored fisherman´s house in the centre of Sitges old town. 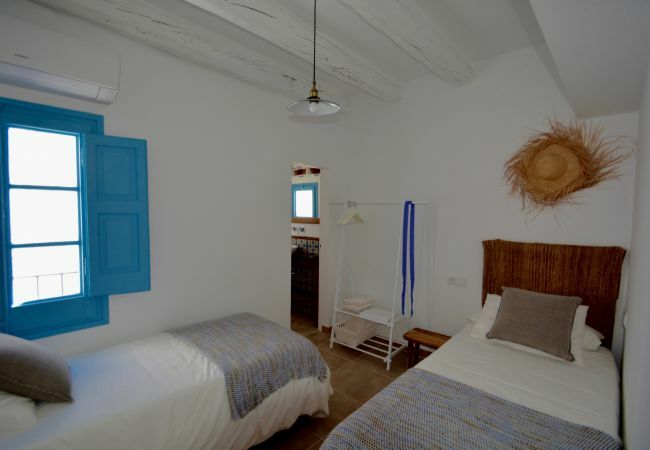 The house is just seconds from Fragata beach. 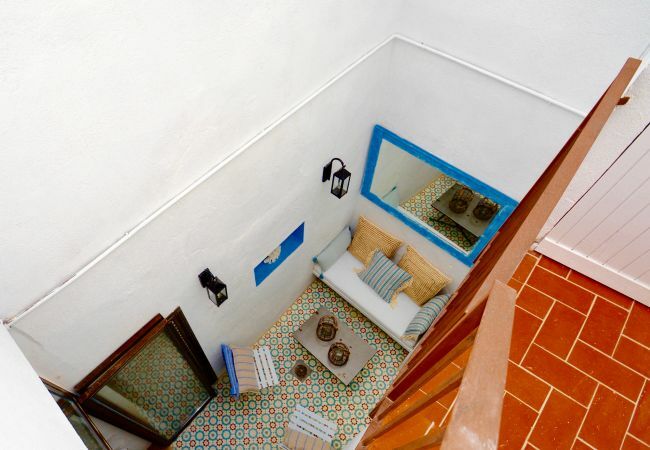 Casa Azul comprises of 3 bedrooms and 3 bathrooms ( 2 ensuite) all with walk in showers. 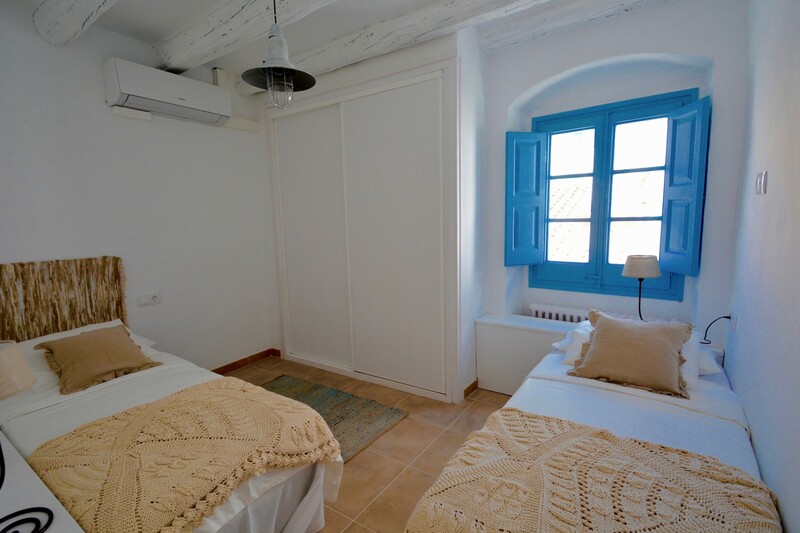 On entering the property, you find a large room that has a small seating area in the entrance with a wonderful cushioned window and an occasional chair. 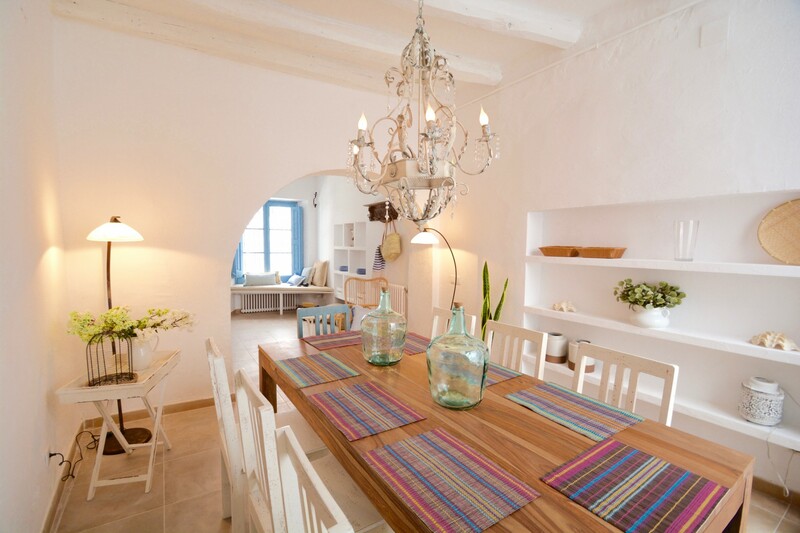 This in turn leads into the main dining area with an elegant large dining table suitable for up to 8 people. 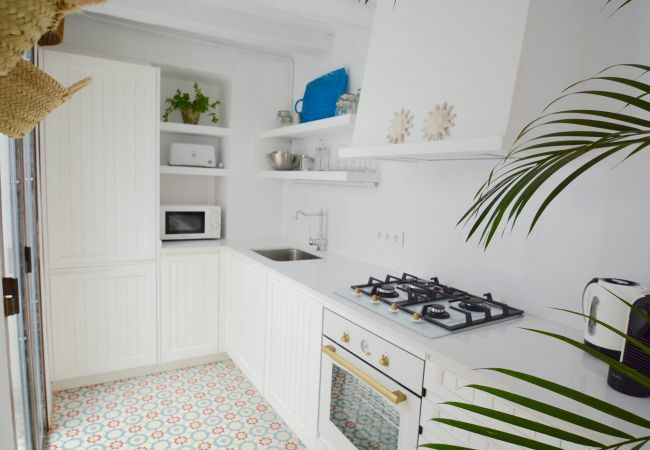 From here you find a modern galley kitchen with oven, gas hob, microwave and everything you will need for dining at home. 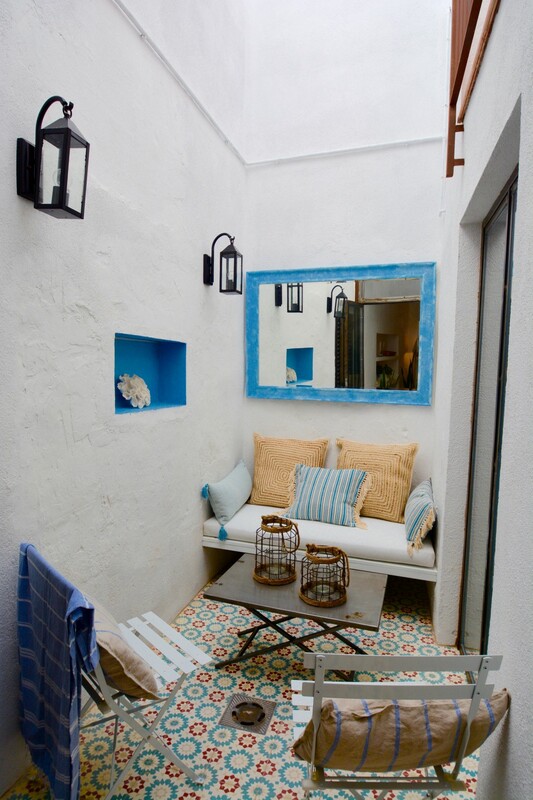 There is also a small courtyard (open to the sky) with more chairs, coffee table and banquet seat. Upstairs we find a lovely sitting room with a small 2 seater sofa (that can also be used as a single sofa bed or snug double if required). There is a smart TV, fibreoptic wifi internet, Google Chrome Cast and other occasional chairs for relaxing or reading. 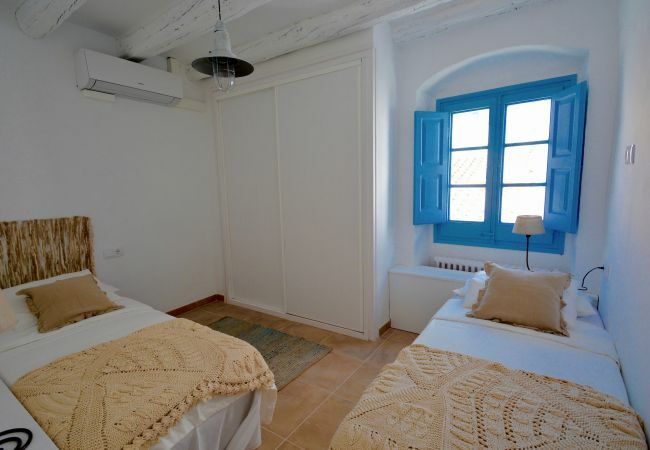 Also on this floor is the master bedroom with a double bed. 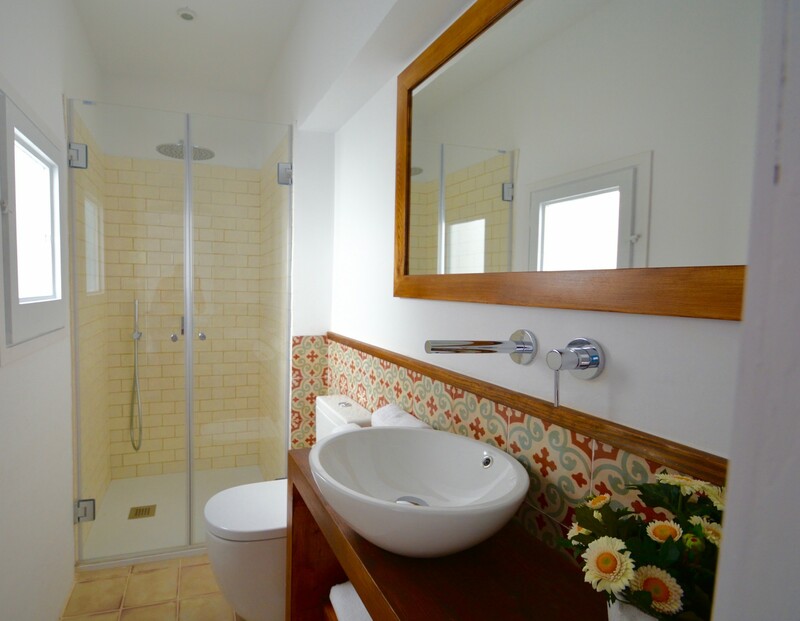 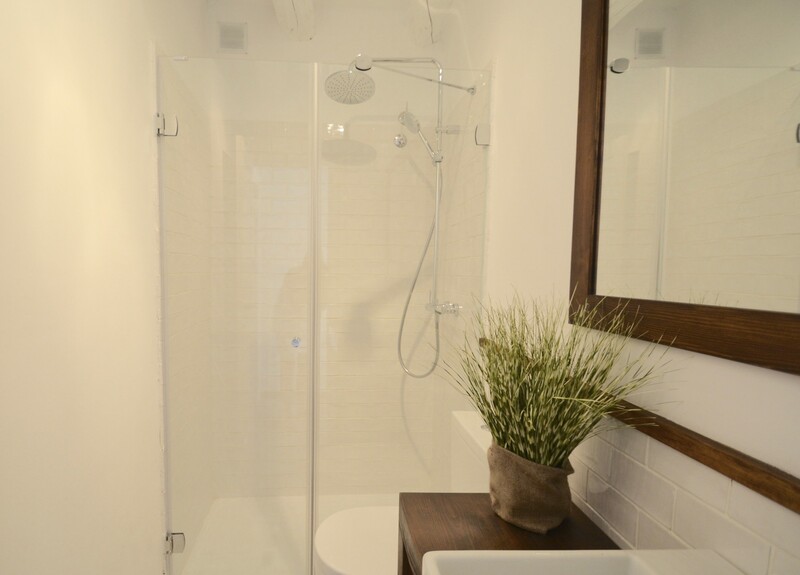 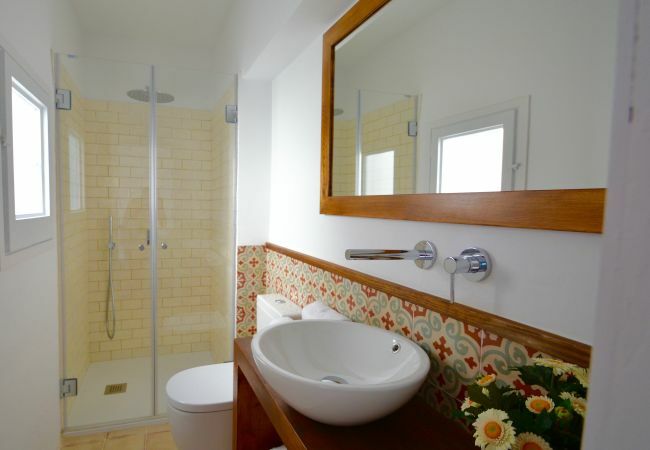 The master bedroom has an en suite bathroom with a large walk in shower. 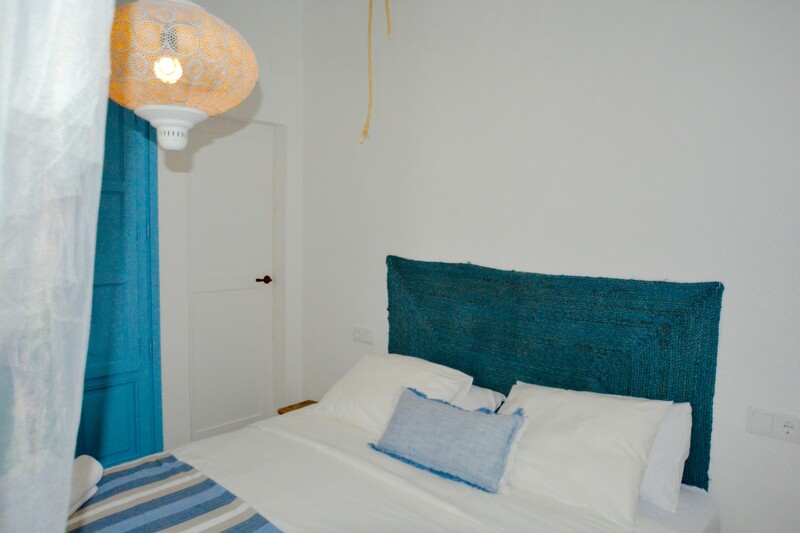 On the 2nd floor we have 2 further guest bedrooms both comprising of 2 single beds per room. 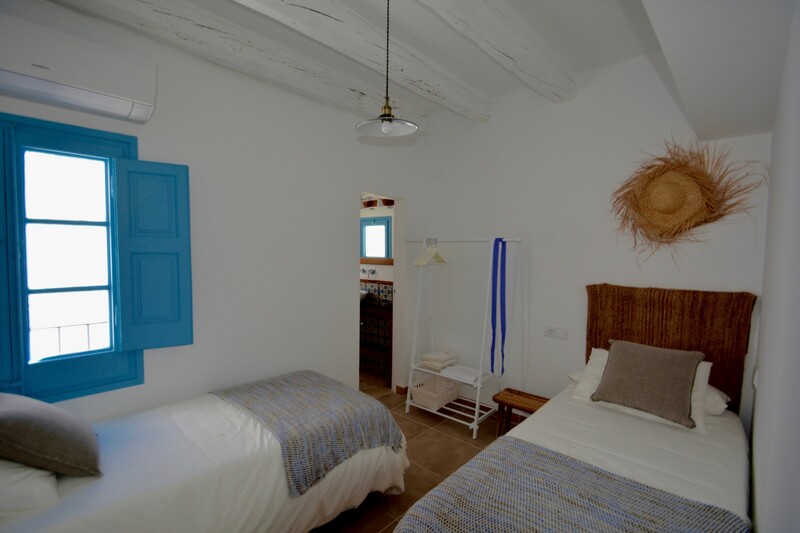 If required the twin rooms can be made up as doubles. 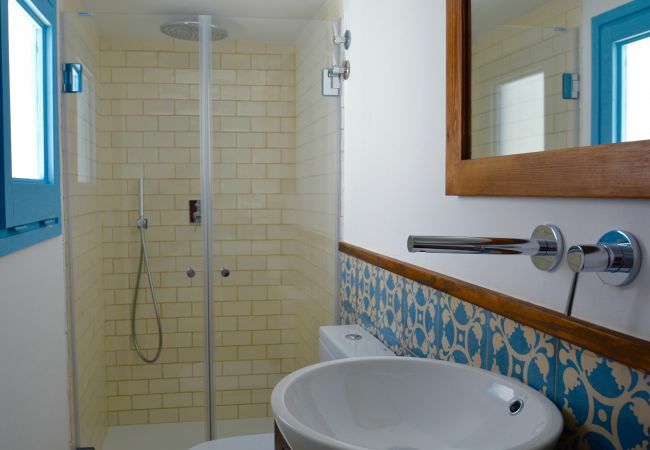 One has an en suite and the other has a shower room adjacent to the bedroom. 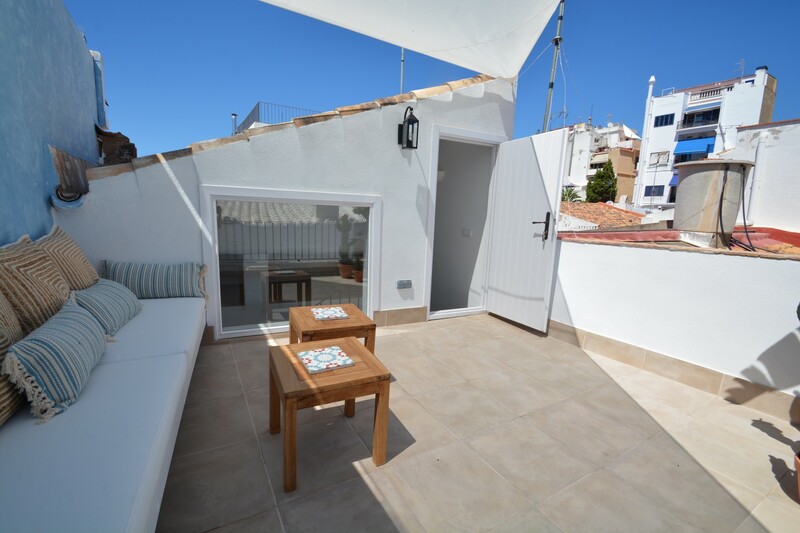 At the top of the house there is a fantastic roof terrace with established plants and a cushioned seating area with tables and chairs and other soft furnishings. The terrace has a large ' sail' to cover part of this area from the sun and is perfect for sunbathing or cocktails. 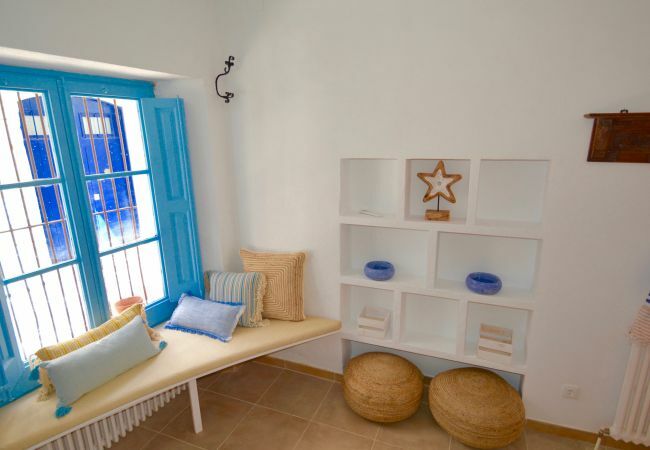 The house has been tastefully decorated with soft blue and white colours with restored wood and timber beams all stripped back to complete the perfect modern day beach house look. 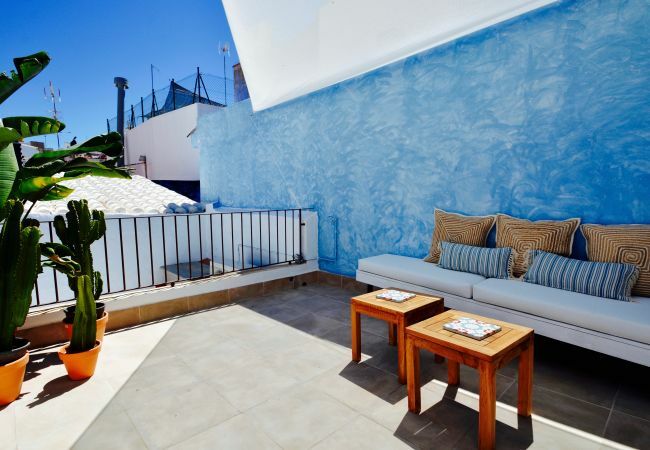 Casa Azul has been finished to a very high standard. 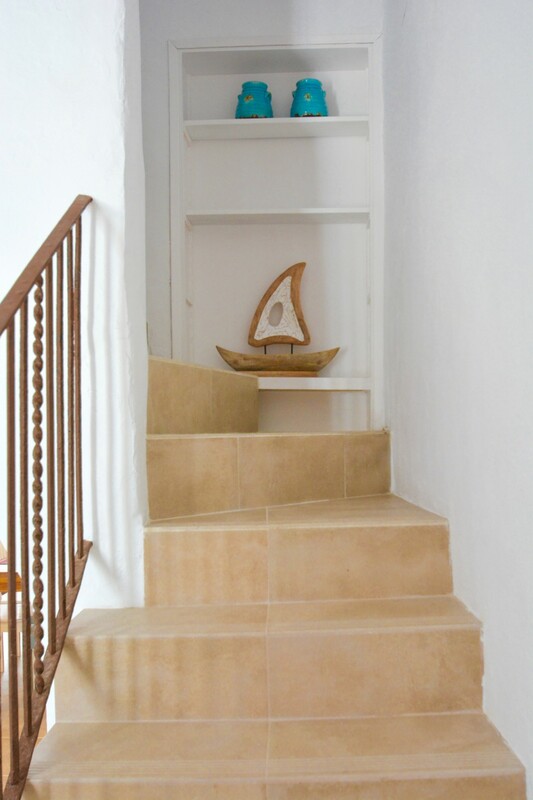 Families with small children or people with walking problems should be aware that the house has several stone staircases leading to the different floors. 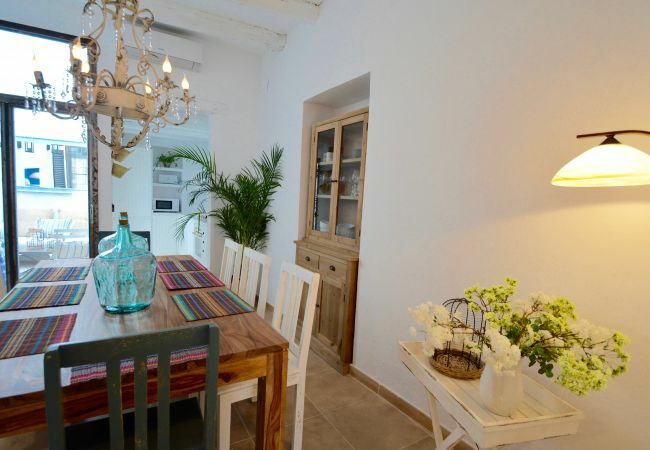 This is truly a wonderful example of a traditional Sitges property on a quiet street and so close to the beach. 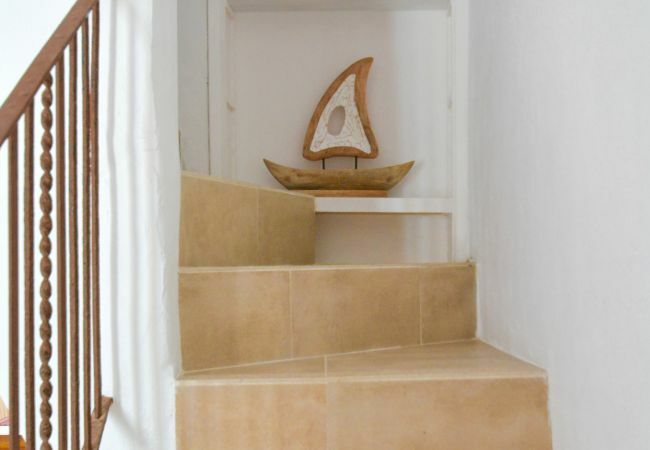 Please be advised there is no parking at this property. 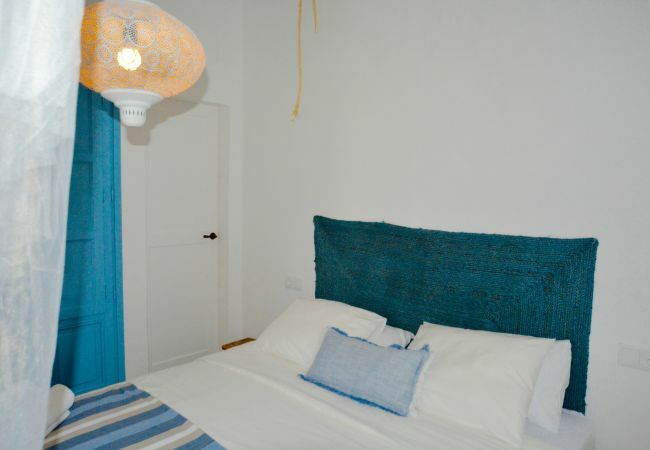 - 1 Double bed, 4 Single beds, 1 Sofa bed. - 1 TV, garden furniture, 20 m² terrace, fireplace, iron, internet (Wi-Fi), hair dryer, 160 m² property, 180 m² plot, central heating, air conditioning throughout the house. 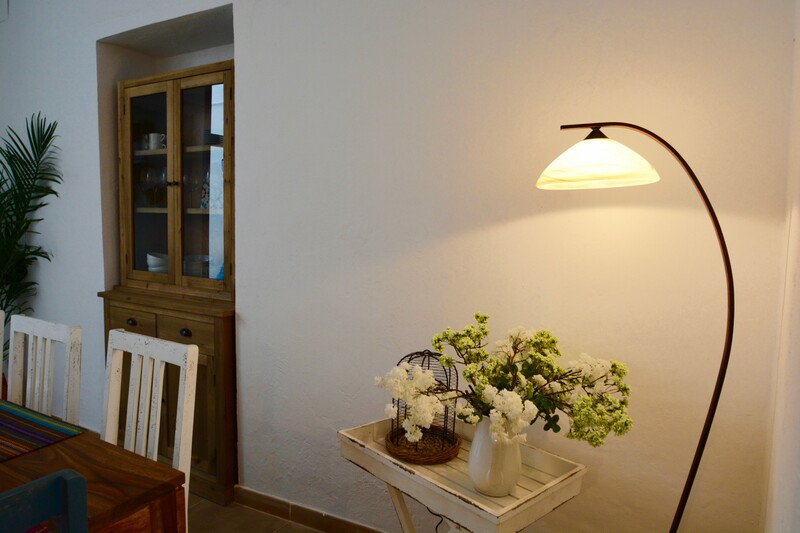 We enjoyed a lazy week in Sitges with a family of 6. 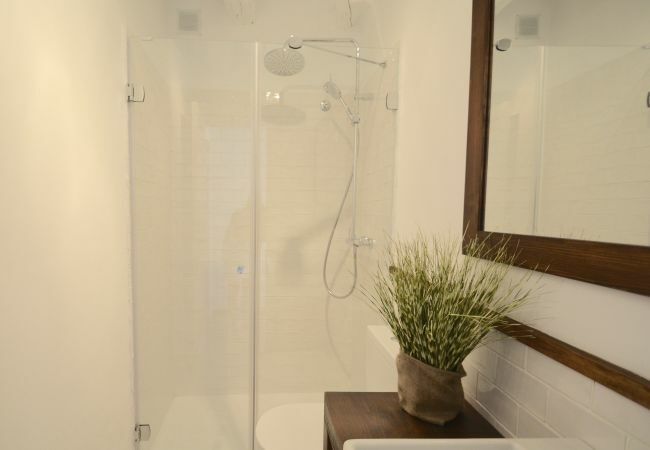 Nice house and the best shower ever.